With our hectic schedules, people would often prefer to watch a two-minute video versus taking 15 minutes to read the same information. Presenters at this past year's INBOUND marketing and sales conference all seemed to agree that roughly half of all the content marketers produce in 2017 should be video. Yet according to Content Marketing Institute's B2B Content Marketing: 2017 Benchmarks, Budgets and Trends Report, only 60% of B2B marketers have used pre-produced video as a content marketing tactic, and only 10% are using live streaming. Video should be seen as an investment – according to HubSpot, including video on a landing page can increase conversions by 80%! Watching a compelling presenter in a video can absolutely influence buying behavior and persuade a visitor to convert into a lead (or a lead to convert into a customer! ), as opposed to simply reading the same information alone. Conveying the right emotions through video is a powerful selling tool! Plus, they can serve as built-in tutorials or testimonials, depending on the angle you're going for. We all get inundated with email and getting someone to actually open your email is an increasing challenge. Just using “video” in your subject line can increase open rates and decrease unsubscribe rates. Video in an email leads to a 200-300% increase in click-through rate – a staggering statistic. But in most cases, you can’t deny that it’s easier to watch a video than sit and read text, right? This is particularly effective if you're demonstrating how to use your product or express something that you just can’t get across with the same impact through the written word. Search engines are looking for content that engages viewers. Nothing entices more numerous and longer page views quite like a video. Not only that, YouTube is the second largest search engine behind Google. If you put your video on YouTube as well as your website, your visibility and opportunity to show up in search is greatly increased. What's more, if you promote your video via social media, your chances of getting found go through the roof! Video marketing is only growing in scope and you're only limited by your imagination. From creating a how-to video to using Facebook live, there is a wide range of opportunities for you to choose from. It’s not just for the big brands anymore, everyone should be getting on board with video. 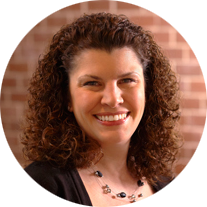 Lori Dickey has been an Inbound Marketing Specialist and Project Manager for PMG since 2010. When she’s not figuring out a way to put a new spin on an old concept, she’s writing about marketing numbers, figures and facts – and sighing with relief when the writing is done and the reading has begun!